Allison McGuire has worked in the health care field for over 25 years, focusing on ambulatory care service delivery within community-based settings and policy initiatives impacting the care of medically underserved populations. She recently joined Montefiore’s DSRIP PPS – the Montefiore Hudson Valley Collaborative (MHVC) – as the Executive Director. Ms. McGuire began her career working as a consultant on the development of Provider Sponsored Health Plans (PHSPs) across New York State, at the beginning of the State’s movement toward Medicaid managed care. As the crisis in access to comprehensive primary care became apparent, Ms. McGuire began working at the Primary Care Development Corporation (PCDC), focusing on the development of financial pro-formats used in the assessment of project feasibility. Ms. McGuire then returned to consulting, where she worked on projects ranging from the development of FQHCs, including hospital spin-off strategies, the implementation of Open Access redesign strategies at a major academic medical center in New York and, the development of an e-Application for processing public insurance applications. In 2004, Ms. McGuire joined North Shore LIJ Health System, as the Vice President for Community Health and Public Policy. In this role, Ms. McGuire created a system-wide Community Benefit strategy, the Office of Sponsored Programs to manage the system’s grant portfolio, the system’s Limited English Proficiency Plan, and community outreach programs to support the systems Financial Assistance program. 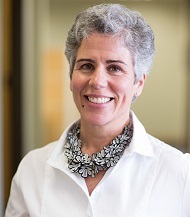 Prior to joining Montefiore, Ms. McGuire was the Chief of Strategic Initiatives for Hudson River HealthCare (HRHCare), one of the largest FQHC’s in the State with over 25 practice sites across Long Island and the Hudson Valley. In this role, Ms. McGuire led the creation of a 9-county Health Home; a new State initiative focused on care coordination for high need Medicaid eligibles. In addition, Ms. McGuire worked on strategic initiatives related to the redesign of health service delivery, including IPA formation for an integrated primary care and behavioral care network of providers and the designation of HRHCare as an Accountable Care Organization (Family Health ACO) for Medicare beneficiaries. Ms. McGuire received her MPH from Mailman School of Public Health at Columbia University and a BA degree in “Health and Society” from the University of Rochester.